What Does Thread Count Mean and Why Does it Matter? The first and most important thing to understand about thread count is it is not a measure of quality. That doesn’t mean that thread count doesn’t matter. When you understand what makes a quality sheet, thread count is an important piece of information to have. But to understand the way in which it matters you first have to get an idea of what exactly thread count means. This website will help you understand not just what thread count is, but what type of thread count you should be looking for as well as every other factor that matters when it comes to buying high quality sheets and bedding. Follow the links below to answer all your questions about thread count and learn everything you need to know to buy the most comfortable sheets you’ve ever owned. Best thread count for every type of sheet - The highest thread counts you should look for for every type of sheet. 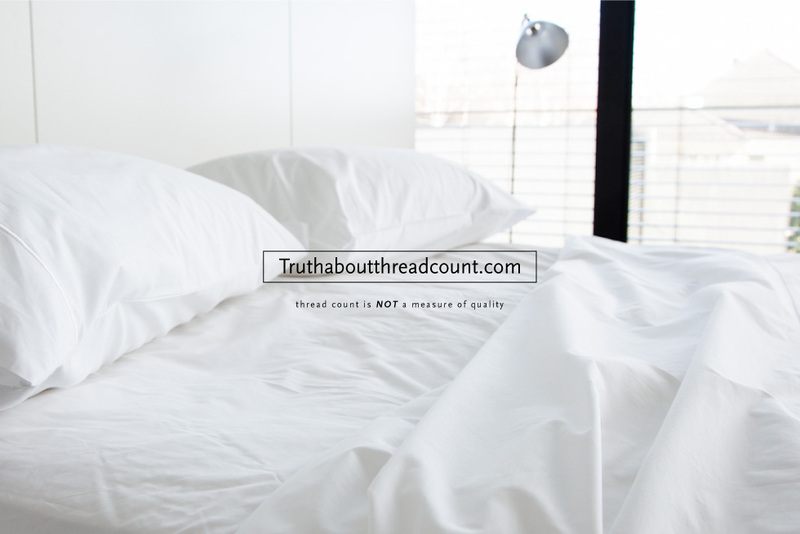 Truth About Thread Count FAQ - Other common questions about quality bedding.